Yardage - Whole Yards Only Note ! Shipment of an order quantity exceeding the 15 Yards we have in stock will be delayed 7-10 business days while we resupply. In stock yardage is typically shipped within 2 business days. Rogue II Ninja is an expanded contract vinyl that is exceedingly beautiful as a faux leather. It has an elk grain emboss combined with a subtle print pattern that truly makes this look and feel like leather. 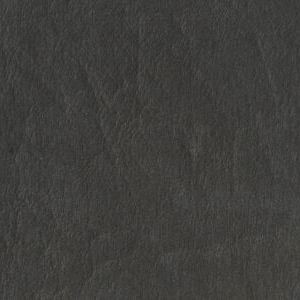 This sophisticated Ninja is a Steel Grey with hints of Charcoal for depth. The Advanced BEAUTYGARD protective top coat finish is produced from environmentally friendly materials and has been formulated to achieve the highest performance standards. This vinyl has also been formulated to achieve a superior level of disinfect ability with disinfectant products containing bleach when diluted 1:10. Suitable for Hospitality, Medical, R V Interiors, Commercial and Residential uses where high traffic is a consideration. Rogue II can be used for seating, cornice boards, headboards, and furniture upholstery.